Aerial photograph of the Trift Glacier, Bernese Alps, Switzerland. 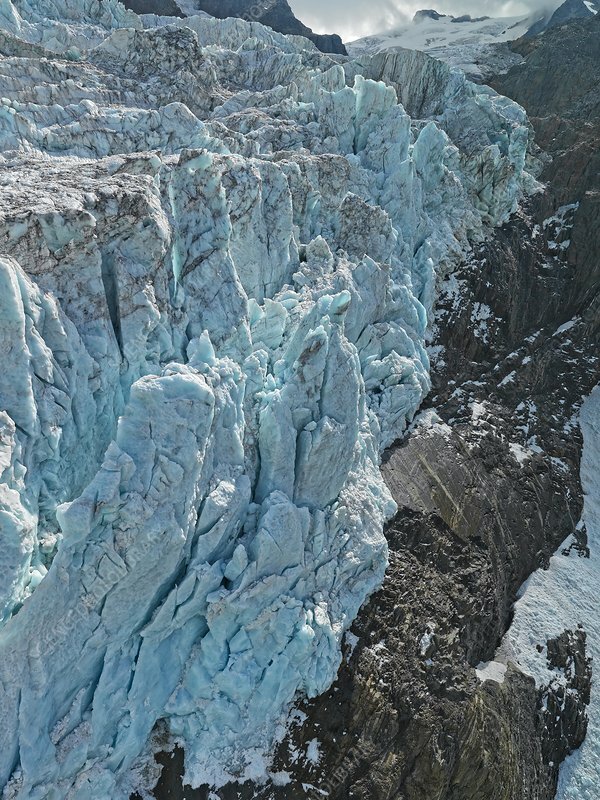 The Trift glacier's tongue lost 216 meters in length within one year (2004 to 2005). Due to the collapsing ice mass, huge ice towers fall down the steep rock slopes. The melting ice reveals open dark rock walls that have been polished by the sand and stones the creeping glacier drags along its route.